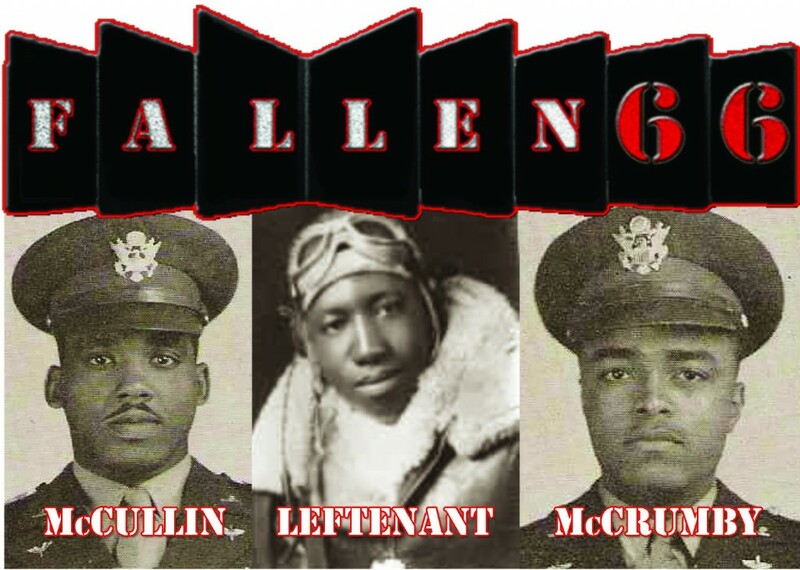 A total of 355 Tuskegee Airmen saw active duty during World War II, less than a couple dozen are still alive. At the the 44 Annual Tuskegee Airmen Convention, we caught up with some of the Documented Original Tuskegee Airmen and representative of the Tuskegee Airmen Inc who provided exclusive interviews for our upcoming documentary ” The Fallen 66“. 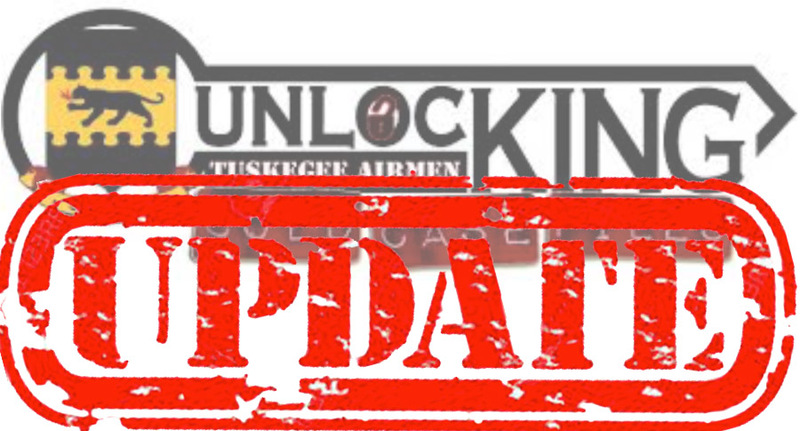 The wreckage of a P-39 fighter plane piloted by one of the Tuskegee Airmen has been found at the bottom of Lake Huron. 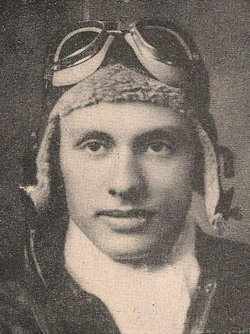 April 11,1944: 2nd Lt. Frank Moody, while flying a P-39 on a training mission with the 553rd Fighter Squadron at Selfridge Field, Michigan, crashed into Lake Huron and was killed. The 553rd trained replacement pilots for service with the 332nd Fighter Group in Italy. Although Moody’s body was found several months later, his aircraft was not spotted until recently by a helicopter pilot and his son, who alerted archaeologists from the Thunder Bay National Marine Sanctuary. A seven-person team dove the site and have documented the wreckage, which includes the engine, tail, gauge panel, wings, and a radio. 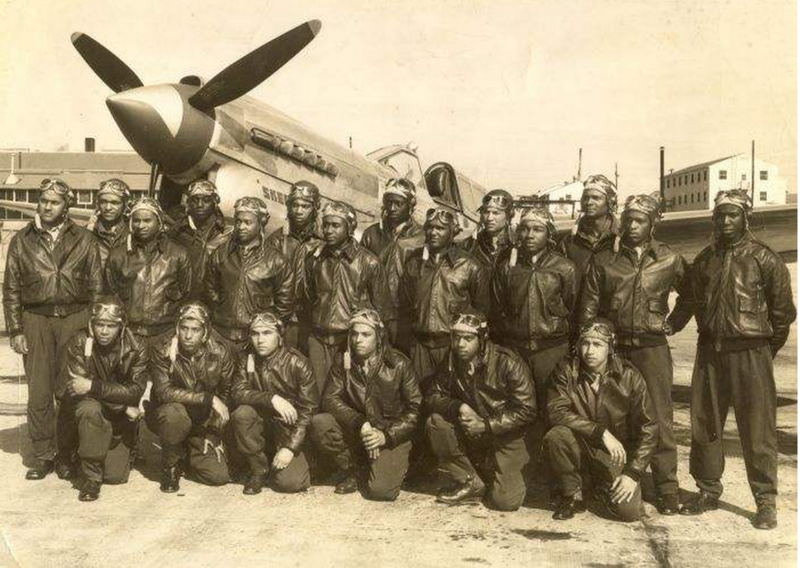 The Tuskegee Airmen were a group of fighter and bomber pilots who fought in World War II and were the first African-American military aviators in the U.S. Armed Forces. Frank Moody, pictured somewhere above. In the wake of a number of scandals, damning revelations, and failures to perform their mission, Congress mandated that the U.S. Department of Defense deactivate JPAC in 2014, and merge their function, and that of the Defense Prisoner of War Missing Personnel Office and Life Sciences Equipment Lab, into one. A new department was formed, the Defense POW/MIA Accounting Agency (DPAA) and has been assigned the duty of accounting for our missing and bringing home all of those that are recoverable. Yet DPAA, which listed “greater transparency” and a family-centered approach among its goals, has been anything but transparent. The DPAA hired a consulting firm, whose contract is currently reported to be near $8 million dollars. The purpose of the consulting firm is to instruct DPAA in the task of forming an organization. None of those funds are being used to recover our war dead, many of who lie in mud, water, or are otherwise exposed to the elements, or are buried in unmarked graves. The department’s detailed expenditures have not been made available to the public, even when asked. When the former leadership of JPAC was slated to head the new organization at DPAA, the families of the missing objected, saying that new leadership is needed to avoid repeating past mistakes. As a result of their outcry the families are forbidden to participate in meetings or to receive any direct communication from DPAA regarding the return of their own family members. Over time, thousands of family members have died waiting to bury their sons and daughters who died for our country. In some cases, crash sites have been known to the U.S. Government for more than 30 years, and souvenir hunters have been allowed to plunder these sacred sites and carry off everything up to and including the human remains of our fallen. Please sign this petition to hold our government to accounting for every one of our missing veterans from foreign wars and to locate, identify, and return all of the recoverable remains of our fallen. Hold them to immediately recovering remains that whose locations are known. Every American expects nothing less. And those who died deserve so much more. Do you believe that Americans must honor military service men and women and their families and uphold our promise to Leave No One Behind? Please sign this petition to hold our government accountable. Tell the President, the Congress, and the Department of Defense that when Americans die for our country, this is our obligation and theirs: NO ONE LEFT BEHIND. 1. Halt the $7 million “reorganization” of JPAC/DPMO/LSEL, wherein taxpayer dollars are being paid to a consulting firm that is advising the Defense Department on how to set up an organization. 2. Reallocate the funds to recovery and repatriation efforts. 3. Allocate additional funding needed to appropriately accomplish the mission of location, identification, recovery and return. 4. Perform the work of identification, recovery, and returning our locatable overseas war dead. 5. Identify the 6,482 unidentified WWII veterans buried in overseas American Military Cemeteries, honor them with properly marked graves, and notify their surviving families. 6. Secure sites that are currently open to scavenging by treasure-hunters and souvenir-seekers. Give these most vulnerable sites top recovery priority. 7. Investigate credible leads that may prove remains to be “recoverable” which were previously deemed “unrecoverable,” with oversight by a civilian committee that will include family members and their representatives. This committee must include family members and representatives who have deep knowledge of the recovery efforts to-date. 8. 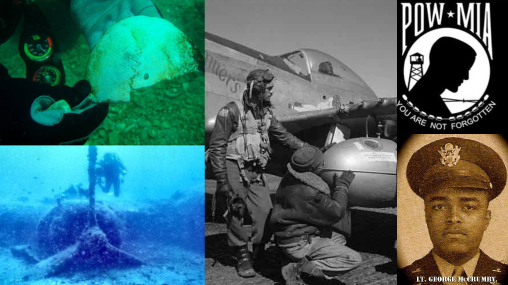 Acknowledge significant, verifiable identification-and-recovery efforts by cooperative foreign governments, archeologists, historians and civilians involved in locating and correctly identifying crash sites and U.S. military remains. 9. Publish recovery schedules weekly. 10. Publish actual recoveries weekly. 11. Allow all family member stakeholders and their organizations to participate in meetings and engage in open, meaningful communication with the office of the Defense Department’s recovery team. 12. Form a civilian oversight committee that includes family members of MIA/POWs and their representatives. This committee shall include family members and representatives who have deep knowledge of the recovery efforts to-date. More than 83,000 Americans who died overseas in the U.S. Armed Forces are still missing. Over 73,000 are from World War II. Some will forever be unrecoverable. But hundreds or, more likely, thousands of them still lie where they died, some unburied, some in isolated areas, others in recoverable underwater sites. Battlegrounds and crash sites have become popular destinations for souvenir hunters – even those which hold the human remains of our fallen veterans. American families have suffered for decades, knowing where their loved-ones remains are, but powerless to bring them home. Other Americans suffer the agony of not knowing. The bottom line is that we have abandoned these war dead who died for us. We can and must do better for them. In 2014, Secretary of Defense Chuck Hagel announced his decision to dismantle JPAC (as was mandated by Congress), the agency responsible for accounting for U.S. MIAs and bringing them home. This decision came after a number of glaring and well-reported failures were made by that agency. The new organization, the Defense POW/MIA Accounting Agency (DPAA), currently has a budget exceeding $7 million for the reorganization. None of this money is earmarked to locate, identify, or bring home a single veteran. All of the information obtained to date shows that these taxpayer dollars are going to a strategic consulting firm that specializes in “change management.” A detailed accounting has been requested by veteran’s families, but the new organization is even less transparent than JPAC/DPMP were before them. The Defense Department promised that the new DPAA will be transparent and foster direct involvement of families who are still trying to get their loved-ones home. As of March 2015, three of the Family Organization Groups have been banned from weekly calls and from receiving any communication from the Defense POW/MIA Accounting Agency. This was in response to the families’ demand for new leadership, when they learned that DPAA was being organized under the same failed leadership of the old organization, and because the family groups asked the tough questions that needed to be asked. When we send young men and women to war, we promise them “no man left behind.” They went. They died. We owe this to them and to their families. Bring them home, without delay. This is a story of three men living and three killed in action. It is the story of three living men who refuse to let the legacy of their relative be forgotten and whose lives have been impacted greatly by the life and death of a relative they never met. A story that has been years in the making for many of the people involved – in some cases it started the day they were born. My journey started years ago asI was told I may be related to one of the fallen soldiers and, while on my quest to answer that question, I have come across others who have been struggling to find out what happened to their relative and who have worked tirelessly to try to get his remains identified and returned home. This search led me to Las Vegas, April 12th for the DPMO/JPAC Family Day event. While there I reconnected with Dr. Gordon Leftenant, nephew of 2nd Lt Samuel Leftenant, and Lieutenant Colonel, Mark Smith, West Point instructor and nephew of 2nd Lt. James McCullin. I also was able to gather information for the McCrumby family on behalf of 1st Lieutenant George McCrumby. (Click on the links to get more details about each of their stories.) 2nd Lt Samuel Leftenant 2nd Lt. James McCullin 1st Lieutenant George McCrumby I am happy to report that I met with Ret. Major General Montague Winfield, who showed sincere interest in helping all families. This has been a very painful and frustrating process for many families , but after some subsequent phone calls and with Ret. Major General’s Montague Winfield’s help, one family now has renewed hope. With an assigned caseworker and a department historian, they are moving forward again. Additionally, Tess Spooner, Fallen 66 task force member and formerNational President of the Tuskegee Airmen Inc. has reported that there isa pathway for family members of the Fallen 66 to honor their loved one with a Memorial Stone in The Arlington National Cemetery, including a ceremony for which they richly deserve. Tess has the details and is willing to facilitate the process for those family members who are interested. She has been the chief advocate for helping the family of 2nd LT. Samuel Gordon Leftenant who is on the list for internment inArlington National Cemetery soon. CLEVELAND, Ohio – Clarence C. “Jamie” Jamison, one of the famed black pilots of the Tuskegee Airmen during World War II, died March 6 at age 96. Jamison was among the more than 900 black pilots trained at the Tuskegee Army Air Field in Alabama during the war for duty in the then-segregated U.S. militaryforces. He flew a fighter on 67 combat missions in the 99th Pursuit Squadron, seeing action in North Africa and Italy.